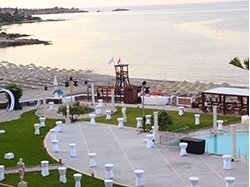 The purpose-built Creta Convention Centre, the largest Convention Center in Crete and one of the largest in Greece, is an extremely flexible and sophisticated venue for meetings, incentives, conferences, exhibitions, product launches and banquets. 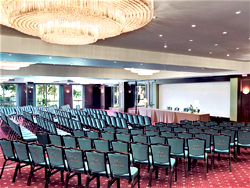 It covers an area of 6.000m² and with its 39 halls it can accommodate in full function up to 5.500 delegates. Moreover, it offers excellent technical support and expertized staff, as well as audiovisual equipment and advanced telecommunication infrastructure upon request. 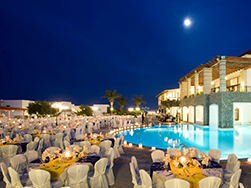 The Creta Convention Centre is situated in the South section of the Terra Creta Convention Hotel. 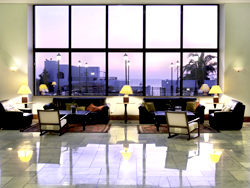 High quality accommodation combined with traditional Cretan hospitality in a green oriented environment is the prime ambition of the Terra Creta Convention Hotel providing the best facilities that modern summits and conventions demand. 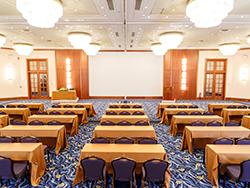 The Creta Convention Centre can provide the latest multimedia & audiovisual technology and arrange the best possible solutions for every client regarding their requirements and budget.